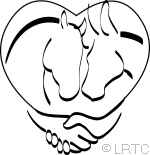 The following people are active LRTC members who have signed up to provide referrals and to assist adopters of wild horses and burros.Most are previous adopters and/or have attended mentoring workshops. This is not a BLM operated or BLM sponsored site. Itis run by private wild horse and burro enthusiasts.